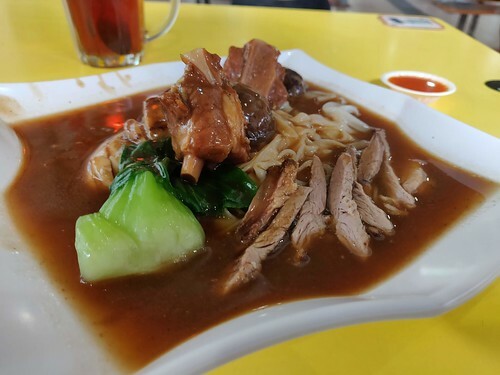 We came down to 159 Mei Ling Street this morning, mainly because of Michelin Bib Gourmand stall #02-33. I didn't like it though. Sure, the ingredients were done with care, but that sauce was too herbal...and there was a hint of laksa leaf in it too, if I tasted it correctly. I didn't even want to finish it. I was much happier instead with the fishball noodles from Xin Lu at stall #02-05. The noodles were cooked and seasoned nicely while even the clear broth was nice and savory. 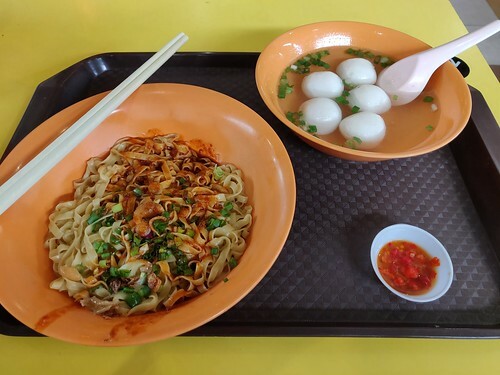 Granted, I don't care much for those smooth-textured fishballs, but it's not a bad deal at just S$3 (US$2.10).